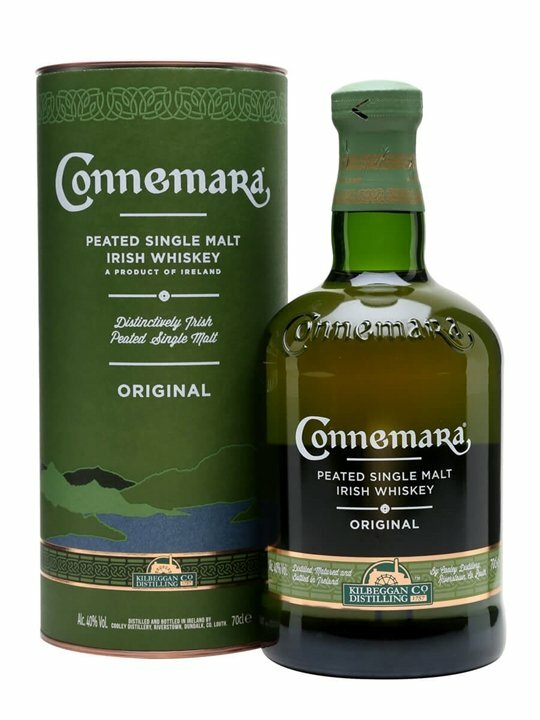 I recently had the opportunity to visit Ireland and couldn’t resist picking up a bottle of Connemara to see how peated Irish whisky compares to the traditional peated scotch. Connemara is one of a family of spirits produced by Cooley distillery. Founded in 1985 this is a relatively new distiller group but draws on its brands heritage from as far back as 1757 with its Kilbeggan distillery being the oldest licensed distillery in Ireland. Cooleys offer a wide range of products from single malts such as Tyrconnnel, blends such as Kilbeggan to the pure single grain, Greenore. Despite being a relatively young enterprise the Cooley brands have amassed a large number of awards, many of which won by their unique peated Irish malt, Connemara. This acclaim likely lead to its acquisition by Beam Suntory; owner of other famous malts including Laphroaig. Connemara takes its name from a region of Ireland within West Galway which is known for its picturesque countryside and coast. It is distinct amongst irish whiskies by being both peated and only double distilled as opposed to the traditional triple distillation seen in other Irish whiskies. This bottle is its entry level non-age statement offering but the range includes a 12 year old and a 22 year old. The malt is bottled at 40% and is coloured with caramel. It doesn’t state whether it’s been filtered but it would be fair to assume it has been. It comes at the reasonable price of £34 and came be found here. This was a bit of a disappointment to be honest. The major weakness in this malt is the palate. There are hints of complexity similar to a Highland malt, quite reminiscent of Dalwhinnie, however it’s.as though the volume has been turned down to only whisper. The finish is respectable but only accentuates the lack of character in the palate leading to a very unbalanced experience. I had seen a lot of good reviews about this malt on the internet and an especially good review on youtube from none other than Ralfy. Interestingly that review discussed a single cask unfiltered 46% version. I suspect this offering represents a diluted and processed version that has been sadly stripped of the delicate notes previously lauded. In its current form this a smooth and very drinkable peated malt however I feel it has the potential to be a lot more than that. I would be very interested to try a higher abv version and see if its produces a more balanced and interested dram. There’s a 46% Turf Mor version which has far more character.